South Africans know all too well the importance of choosing the right materials for exterior surfaces, from roofs and patio floors to garden furniture. But let’s not forget that other important structure that keeps some of our most valuable possessions (including our cars) safe from both intruders and the elements: garage doors. The pros: Definitely the aesthetic appearance and overall look and feel of those wooden surfaces. 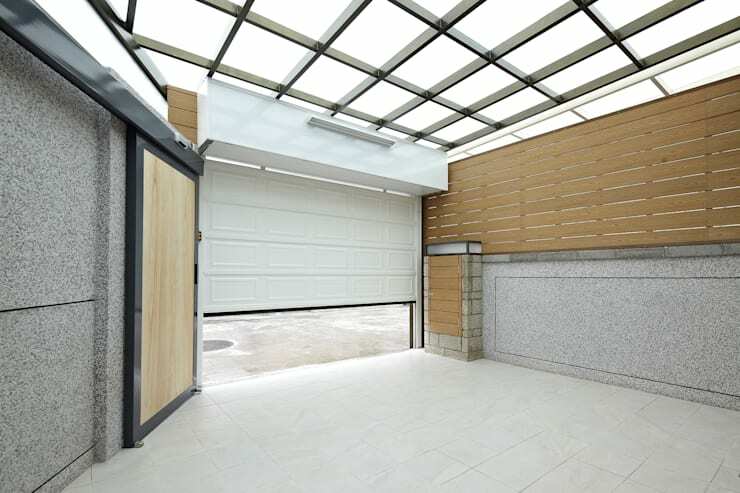 Similar to wooden floors in a home, having a wooden garage door ensures an element of sophistication. In addition to beauty, wood is also customisable in terms of installation, with the wood being relatively easy to cut into any shape and size. And don’t forget that wood is resilient, meaning it’s not going to dent or crack under pressure, making it one of the best options for standing up against the elements. The cons: Probably the biggest one is wood’s constant need for maintenance. If not taken care of properly (priming, repainting, sealing, etc. ), your wooden garage doors can very quickly deteriorate, dragging your entire house’s façade down with it. Their costs also tend to be high, making wooden garage doors an option that is exclusive to few homeowners. The pros: Budget-wise, vinyl garage doors are the ideal option, since they offer the best contrast of price and sustainability. In terms of upkeep, all that is required is a little paint touch-up now and again, plus the occasional power washing. Finally, you may be surprised to learn that vinyl doors are some of the most resilient on the market today, known for being quite able to hold up to dent and cracks. The cons: As vinyl is a terrible insulator, your vinyl garage doors won’t do much to improve the insulation capabilities of your home. Another disadvantage of vinyl is its permanence, meaning that if you want to paint or change your vinyl garage doors’ colour, you’re going to require an exact colour match. But even then, it’s not very likely that you’re going to enjoy a seamless aesthetic. 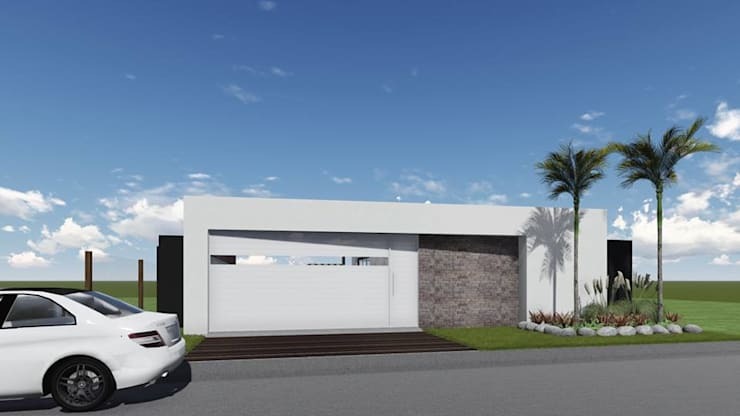 The pros: It’s not hard to come across steel garage doors in South Africa, as they flaunt a top-notch modern look in addition to enjoying a certain sleekness. In addition, steel garage doors are also very easy to maintain and relatively cheap to invest in. In terms of customisation, your options are quite varied, ensuring a myriad of different designs and styles to choose from. The cons: Not even steel garage doors are perfect, as they are prone to dents and dings, which can accumulate over time and massively disrupt the exterior appearance of your garage. There might not be much upkeep involved, yet there’s also not much one can do to alleviate larger dents and dings. Unfortunately, steel also isn’t a great insulator, but keep in mind that, at an additional cost, there are many aftermarket products that can be implemented to improve the insulation capabilities of steel doors. The pros: A very budget-friendly alternative to steel, aluminium garage doors are also available in a wide range of styles – plus they can be painted, too! And much like their steel counterparts, aluminium garage doors don’t require a lot of maintenance. And as they are less prone to rust, they are ideal options for coastal areas. The cons: Aluminium doors are more prone to dents than thicker-panelled steel doors. Thus, they are best suited for homes with a lower chance of impacts. But the type of material of garage doors is only one deciding factor. Also take into account safety, garage door springs, warranty and service quality before making your final choice. As the largest moving piece of equipment in most houses, your garage door needs to be safe for everyone, especially if children are involved. Some garage doors are equipped with pinch-resistant features that push fingers away from harm when the door is closing. Ensure that your new door is equipped with such a reversal function. As far as spring systems go, your garage door is opened and closed with the counterbalance spring system. The opener only provides the initial push to get the door moving, but the springs are in charge of the rest. These springs are wound tightly when the door is closed and unwind to push the door up. When picking out your perfect garage door, ensure this vital mechanism is sturdy and strong. 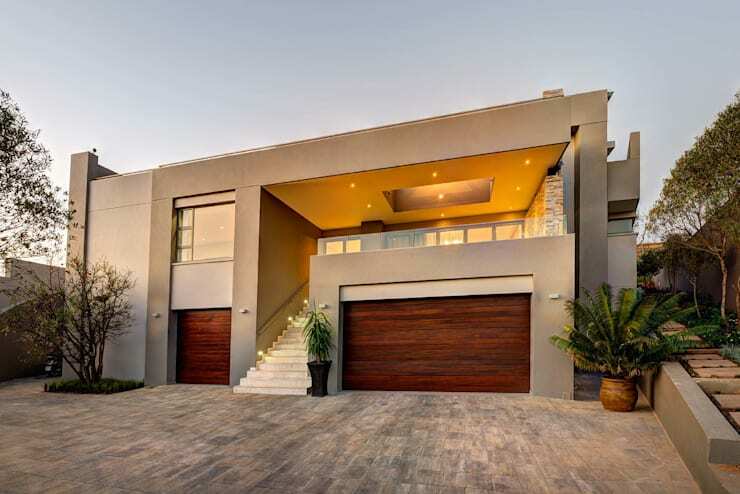 Many garage door manufacturers in South Africa offer warranty upon purchase – ensure yours is covered against splitting, cracking and rusting. Always do your research on the type of manufacturers / installers you choose for your garage doors. A bad installation job will cost you in maintenance and repair expenses before long. Always look for positive testimonials and reviews before making a final decision. Speaking of keeping cars safe, we have these 9 amazing car covers to consider, and 9 smart garage ideas that won't cost thousands of rands. 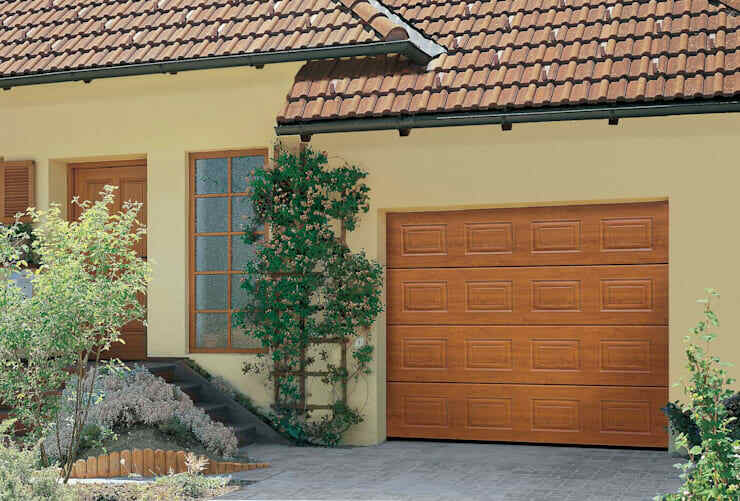 Which type of garage doors is ideal for your home?